The championships, organized by the Pan American Taekwondo Union, will award the winners 10 points for the WTF ranking towards the 2016 Rio Olympics. 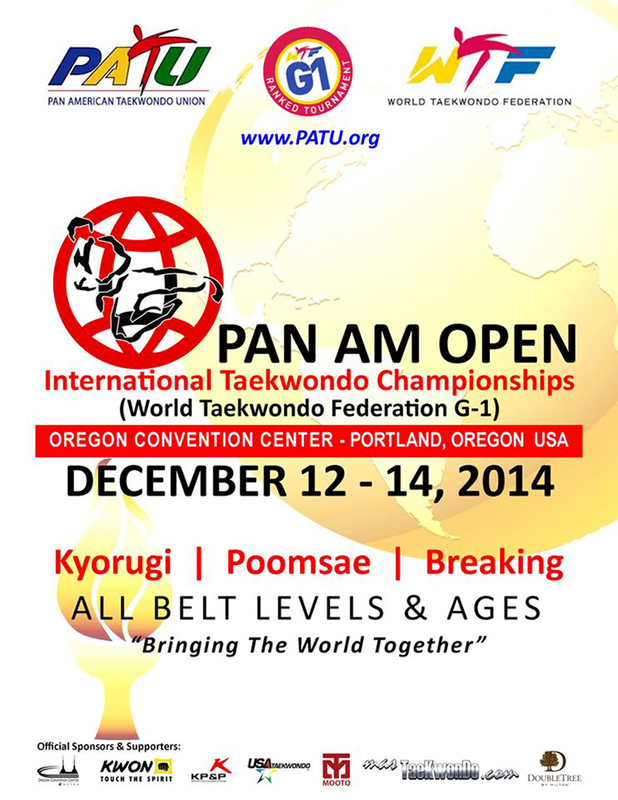 The competitions, which will take place at the Oregon Convention Center in Portland, Oregon, on December 12-14, 2014, will include Combat, Poomsae and Breaking for children, cadets, youngsters and adults in different grades and weights. The competition ranked as G-1 will be for Senior categories only. masTaekwondo.com will be official sponsor for this new competition in the area, sanctioned by PATU, and we will bring you a complete journalistic coverage of the event where the athletes from all over the American continent will fight to get the valuable 10 WTF ranking points that will put them closer to Rio 2016.